This CD is a tribute to argentine composer Pablo Aguirre’s chamber and piano music. 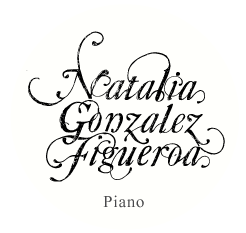 It features Natalia González Figueroa and renown guest artists such as Pablo Saraví (violin), Tilly Cernitory (cello), Armando de la Vega (guitar), Ana Laura González (flute) and In Crescendo Guitar Quartet. “Buenos Aires Hechicera” (released in 2012) has received a Prize by the Fondo Nacional de las Artes in Argentina and was recently nominated to the most important music awards in Argentina: “Gardel Prize” for best Classical CD of the year.